What Will Really Makes You Happy? The idea of a happy and meaningful life has become unnecessarily complicated in some circles, says author and certified positive psychology coach Lynda Wallace, who left a high-powered executive career with Johnson & Johnson to pursue her real passion – helping people and groups achieve greater happiness and success. “Happiness has been appropriately cited as a goal in political debates on issues from taxation to the social safety net to marriage equality, but the debate is often confused,” says Wallace, author of A Short Course in Happiness: Practical Steps to a Happier Life, which recently topped Amazon’s Self-Help Best Seller list. After twenty years as a successful executive with Johnson & Johnson, where she was responsible for a $1B portfolio of businesses including Band-Aid, Neosporin and Purell, Lynda Wallace chose to change careers to pursue her passion. 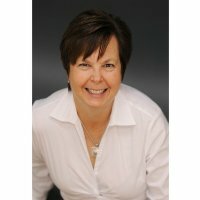 She now helps individuals and groups apply proven insights and techniques to achieve greater happiness and success in their lives, families, careers, and businesses. Lynda holds an MBA from the Wharton School of the University of Pennsylvania and is a certified positive psychology coach. 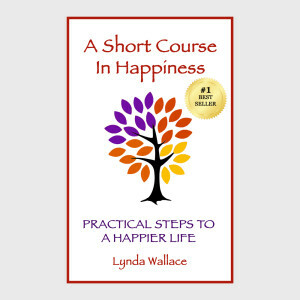 She is also a sought-after speaker and the author of the #1 Amazon Self-Help Best Seller A Short Course in Happiness: Practical Steps to a Happier Life. More information is available at her website: www.lyndawallace.com.